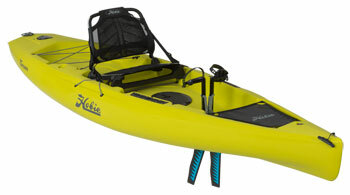 The latest addition to the Hobie kayaks fleet, all the toys at a lower price. The Hobie Mirage Compass is a brand new sit on top kayak that takes some of the best features from a number of Hobie's most popular models to create an affordable fishing kayak that is also proving popular with recreational paddlers looking for fun days out using Hobies’ Mirage Drive system. 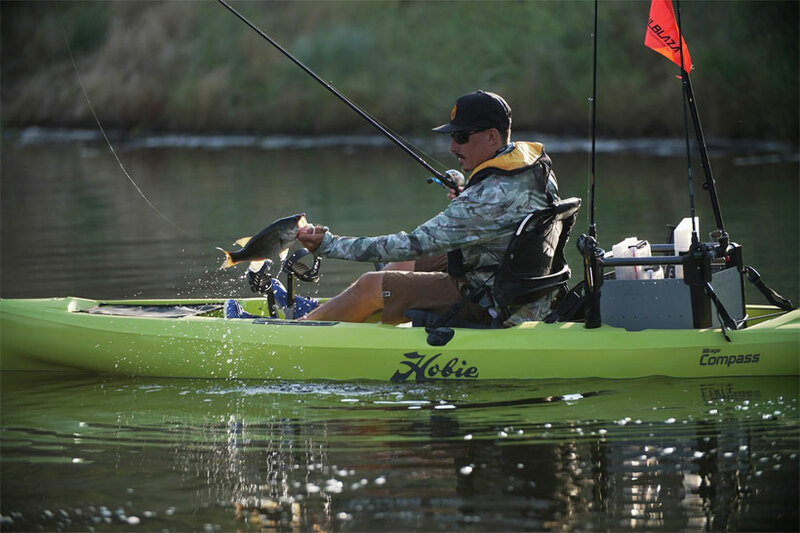 Combining the Hobie Revolutions bow profile with the stern and hull shape of the stable Pro Angler, the Hobie Mirage Compass gives the best of both worlds- creating a kayak that ticks many of the boxes for most paddler’s wish lists. At twelve foot in length the Mirage Compass is short enough to for use on smaller rivers and canals. 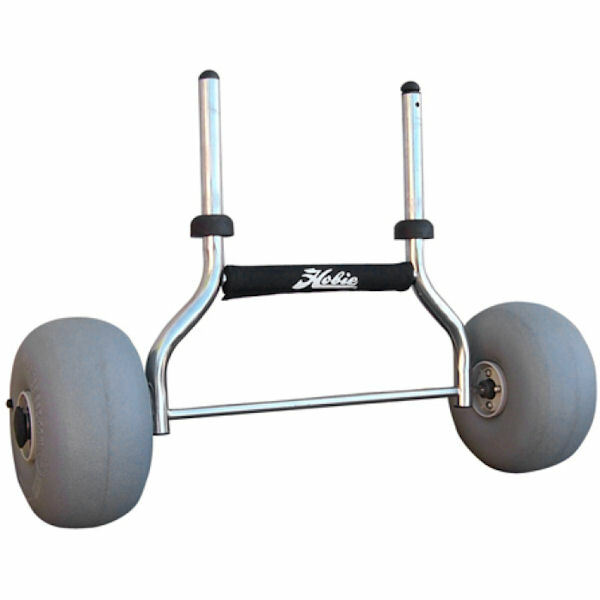 Yet is also fully capable for use on larger bodies of water such as lakes and reservoirs and also sheltered coastal paddling. To reduce the overall cost, the Compass does not come with the latest 180 Mirage Drive (Reverse), it is supplied with the extremely popular GT Drive Pedal System. The adjustable mesh seat included is much more comfortable than most standard sit-on-top seats and allows for longer days out on the water. For Kayak Anglers, the Hobie Mirage Compass comes ready to go with 2x rear moulded flush rod holders, ready fitted H-Track rails for mounting additional rod holders and other accessories, such as GPS, fish-finders or bait trays. 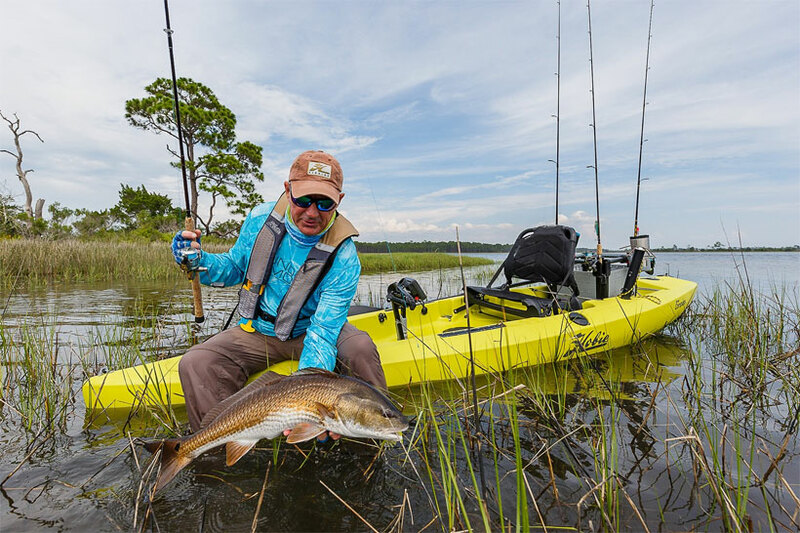 The Compass like all new Hobie kayaks is Lowrance with the through-hull wiring and built in transducer mount to simplify the often complicated job of mounting a fish-finder. The forward twist-stow hatch is and large rear tank-well gives ample opportunity for carrying plenty of kit, and a large catch on those lucky days! 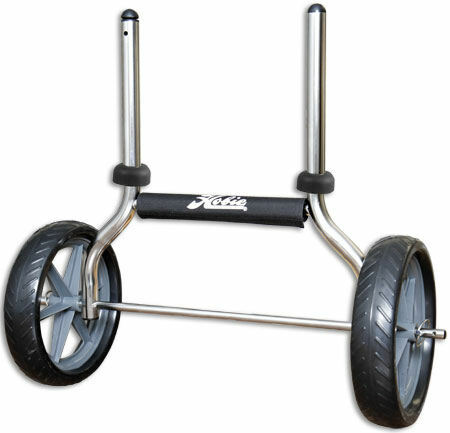 The Compass is a great size, providing a nice combination of stability, manoeuvrability and forward speed. 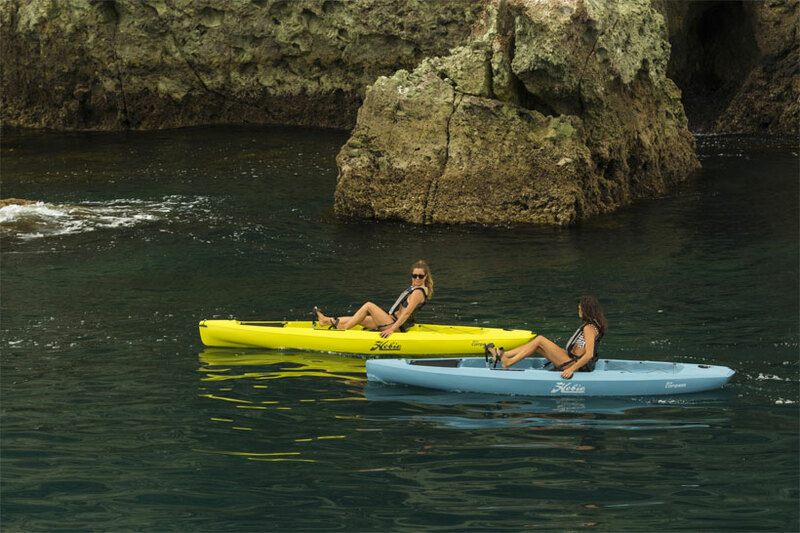 Simple to customize for kayak anglers, and at a great price point it is set to become a very popular addition to the Hobie fleet of Mirage Drive kayaks. Mirage Drive System (not the 180 Reverse). Forward and Rear Carry Handles. Easy Steering System, with Spring-Loaded Rudder. Mesh Seat with Adjustable Height. Large Rear Storage with Bungee Straps. 1x Twist and Seal Storage Hatch. Bow, Mesh Covered Storage Area. 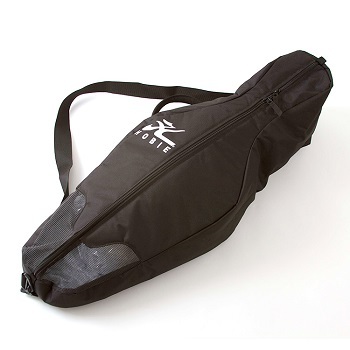 A hardwearing cordura bag for storage of your Mirage Drive. perfect for protecting your mirage drive in transport or storage. We offer a delivery service for the Hobie Compass throughout the UK & Ireland to home and work addresses. You can buy a Hobie Compass online from our website and pick it up from ourselves or from any branch within the Canoe Shops Group. There is no cost associated with instore collection*.